The other day I was chatting about muddled senses. Do we really see what’s around us, or do we just assume it’s the same as yesterday and fill in the blanks. How do we understand half-uttered mumblings we don’t properly hear, and when we think we’ve understood, have we actually listened to the other person or just heard what we want to hear? It lead us to talk about some illusions that show how intertwined and untrustworthy our senses can be. What you see changes how you hear. Take the sound “ba”. When an audio recording of “ba” is dubbed over a silent video of someone saying “fa” – then “fa” is what you hear. Close your eyes and the effect stops. Open them and it starts right back up again. No matter how much you try to hear “ba”, the visual information overrides the audio. Check it out. Try it with your eyes open, then watch it again with them shut. Whaaaaa??? This BBC video has more of an explanation and the ba/fa illusion. Nice, but what are the applications? 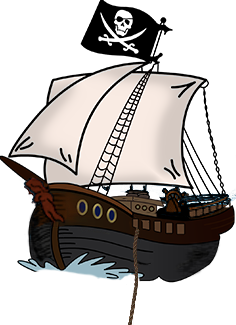 Firstly, I should move my mouth more clearly when I talk to people instead of my usual pirate mumble-slur. Second, if speech recognition software uses video as well, it could possibly become more accurate. So I was cooking dinner tonight and had a hankering for potato wedges. Unfortunately, in a fit of nonsense I had put my potato in the fruit basket to ripen. Ridiculous. So it had turned greenish. Now I’m a pretty frugal, food-saving kinda person and hate throwing stuff out, but I had a feeling that this was one of those times. One of those “better safe than sorry” times, so I checked the interwebz and then threw it out. If you’re ever in a similar quandary, here’s why not to eat green potatoes. Potatoes make glycoalkaloids, chemicals that protects them from insects and fungi. They are especially fond of these chemicals when they are damaged or growing new plants, when they go green and sprout from their eyes. One of these chemicals is called solanine, a poison made by deadly nightshide (a member of the same family, Solanaceae, along with tomatoes). I usually keep potatoes in the fridge, which is apparently also bad. At the chilly 2-6 degrees celsius of a fridge, the starch turns quickly into high levels of sugar, causing them to brown quickly during frying. So you’re supposed to keep them in a paper bag in a dark cupboard. So much dinner-time learning! Oh – and the replacement meal, curried roast vegetable couscous, was delicious. 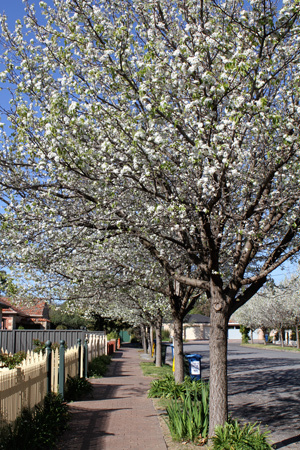 Spring has sprung here in South Australia, bees buzz in the blossoming trees and the air is warm and sweetly scented. So I took my camera for a stroll around my neighbourhood and took some pictures to capture the first day of spring. 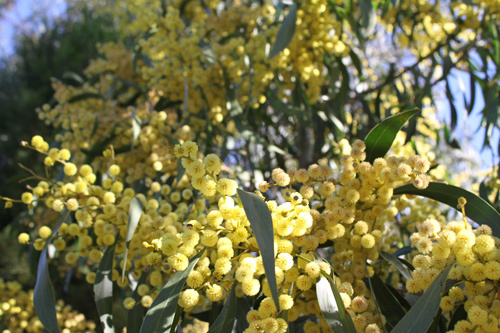 Wattle – nothing says Australian spring so much as the smell and sight of these fuzzy yellow coated trees. The picture doesn’t do justice to the sound of all the bees collecting nectar and pollen overhead. Try to imagine the buzzing. In among some rocks, I noticed a colony of ants going nuts! It was queen day, as I like to call it. When young princess ants fly away to start a colony of its own. There were a few drones, fertile male ants with wings who were smaller than the princesses. It was their nuptial flight. A worker ant helps a princess prepare for a nuptial flight. Before writing this post, I played Fruit Ninja for an hour. It’s a cute app on my partner’s iPhone where you slice fruit in half and try to get the highest score possible in a minute. My high score? 599. This is why I can never have an iPhone – because I would play ridiculously repetitive games like this (and Runway, landing airplanes) all day and achieve nothing but a high score. Quite simply, I’m addicted. Why is Fruit Ninja so addictive? Dopamine LOVES random rewards. If every time you throw in a hook you get a fish, it get’s less exciting. But if you only get one sometimes, it’s much better. It’s like the dopamine is saying – WOAH! You randomly caught a fish! What did you do? Do it again! Same with Fruit Ninja. Wait, that was a high score? How? Hell, I have to do that again, whatever I did. Random rewards from a repetitive task increases dopamine levels. Dopamine also loves near misses. Oh, man, you almost caught a fish – so close, keep trying and you’ll get it next time for sure. While that might work when you’re fishing or hunting or in anyway being skilled – it’s nothing but a CRUEL TRICK. Woah, that was SO CLOSE to a high score, you’ll get it next time! Doubtful. It’s worse for the pokies, where there really is no skill. Almost winning does not increase the chance of really winning, but it still boosts the dopamine. Do games know their addictive nature? This Cracked article talks 5 creepy ways video games are trying to get you addicted, mostly talks about online mulitplayer games like WoW. There’s no question to me that it’s an addictive game. I’ve never played it myself (I don’t touch the hard stuff), but I know people who spend at least 20 hours a week, every week, leveling up and planning the next quest. So, dear readers, I’m making a commitment to you now. I’m gonna give it up! No more iPhone games, I’m done, I’m out. No dopamine for you, brain.